Posted April 24, 2015 by robshiflet & filed under Blog, FeaturedOnHomePage. Hi There! I’ve missed you! The past couple of weeks have been such a whirlwind! From The Ellen Show to vacation time with my family in San Diego to getting invited to the Academy of Country Music awards (ACMs) this past weekend, it’s been non-stop fun! I especially cherish these fun and exciting seasons in life because I’ve experienced the heavy and difficult ones. Honestly, part of my journey has been learning how to relax and truly enjoy life. I’ve always seen myself as an intense and purposeful person in everything I do, which can be both a pro and a con. However, there is another side of me that can be funny and goofy. Usually this involves occasional solo dance parties, singing loudly and passionately in my car, making witty comments, and talking in different accents (hey, the performer in me has to come out to play every now and then). In this new chapter of my life I am learning how to co-exist and appreciate both parts of my personality: the part of me that is intense and the part of me that just wants to be funny and enjoy life. As a single mom, sometimes I feel guilty if I’m not always super focused on all of the major responsibilities in my life. I’m learning this mentality is not healthy or sustainable for the long term. Burn out will happen. So lately, I’ve been paying more attention to how I can embrace my intense side with my fun side so I can ultimately add more balance and enjoyment to my life. If you can relate to what I’m saying then read on for some tips I’ve been applying these days to help me create a more enjoyable life! 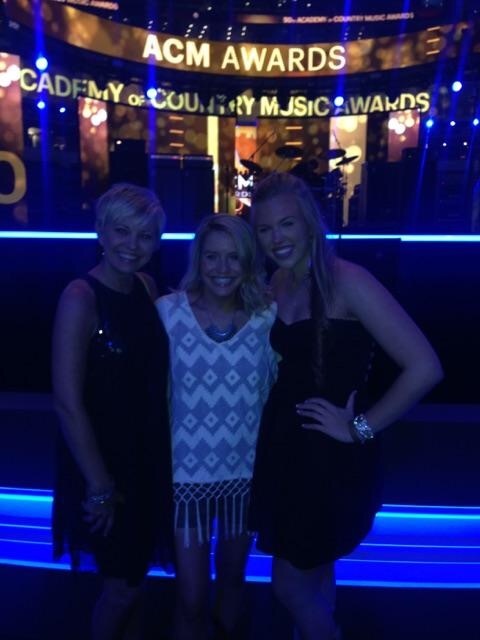 Say “yes” to a new experience: So a couple of weeks ago I got invited to the ACM’s! I was a little unsure if I should go because I didn’t really know the person who invited me and at one point I backed out, because my intense side was coming out and trying to convince me it wasn’t a responsible use of my time. Once I realized I was becoming too extreme in that direction, I decided to do the opposite of what I would normally do and I re-accepted the invite, fully committing to going and having a great time! And yes, it was a once-in-a-lifetime experience I will never forget!! I encourage you to say “yes” to something that is a little out of your comfort zone you think would be fun to do. Don’t allow your intense responsible side to tell you you don’t deserve to have a good time. Check your ego at the door: When I was chosen as one of 10 people to possibly be picked for a game on The Ellen Show, I almost had a legit panic attack. Growing up, I was so afraid of playing games in PE because I didn’t want to be yelled at for making a mistake that I didn’t participate. As I got older, I realized it was my ego trying to make sure I always appeared in control and stayed safe. When I was picked to possibly play a game on national television, I freaked out, thinking I would look stupid and humiliate myself. I normally would have backed out, but instead I decided to allow the possibility of looking silly and just having fun, and checked my ego at the door. Even though Ellen didn’t choose anyone that day, I was proud of myself for putting myself out there and not taking myself so seriously. Face an old fear: While on vacation in San Diego my family went to a carnival on the beach. My sweet new sister-in-law, Anna, is a risk taker and has added so much spice to our family. She of course, tried to talk me into riding the roller coaster and some swinging ride I never would have done. Growing up, I threw massive fits when my dad tried to get me to go on a roller coaster. I was terrified. I would get to the top of the ride, look down and say “peace out” while walking back down the stairs. As small as it may seem, I pushed myself to face an old fear of roller coasters and heights and just did it. I laughed and screamed the whole time! The best part was the feeling afterward of realizing facing my fears is fun! All of these experiences are part of my growth and learning as I shift away from the things that held me back in the past, big or small. In this new chapter of my life I’m inspired to try things I’ve never tried before, think differently than I’ve thought, and challenge myself to be open-minded to new adventures. I trust I will learn from each new experience and it will all be part of creating my most authentic self. Have you ever challenged yourself to try something new and been pleasantly surprised by the outcome? I would love to hear your story in the comments below! If you have experienced any kind of loss – loss of a dream, spouse, marriage, whatever it may be, and want to spend some focused time creating the next chapter of your life, reach out to me for a complimentary Next Chapter coaching session! Also, don’t forget to purchase your pre-order of The Ellie Project, coming soon. 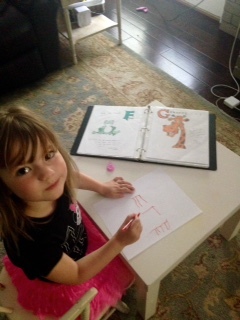 The first 1000 books will be signed by Ellie and me (she’s been practicing her signature). www.ellieproject.com Sending you all so much love and light! Blessings. It has been such an honor and privilege to have Bailey as my coach. She is such an inspiration. Working with her has given me a new direction!